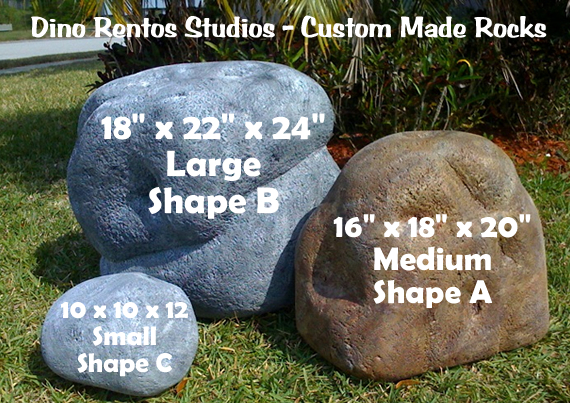 Fake Foam Rock 18" x 22" x 24" - Dino Rentos Studios, INC. Fake Foam Rock 18" x 22" x 24"
This foam rock is great for scenic sets or as a film prop. Also great for your garden! Made from 1 pound EPS foam and painted to the color of your choice. The painted foam only version is intended for indoor use. Upgrade to the hard coated version for outdoor use. If your skit requires you to sit on the rock, select hard coating and high density foam. Contact us for large quantity shipping discount. Shape A has a flat bottom and looks half buried in ground. Shape B is fully round with contouring. 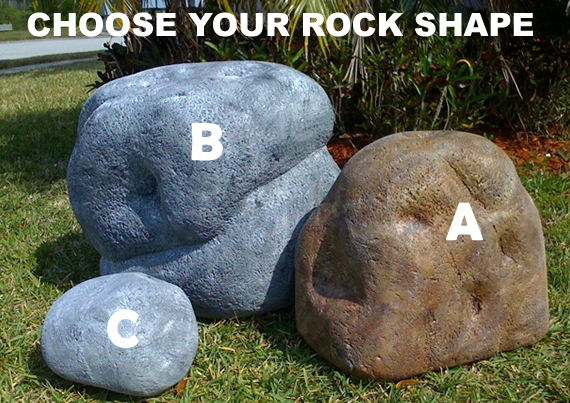 Shape C is fully round but smoother, similar to a river rock.